Toy Spaniels have existed for centuries and were favorites in royal courts. In the British Isles in the late 1600s, King Charles Spaniels were bred with Pugs, which produced a smaller dog with a flatter nose, upturned face, rounded head and protruding eyes, resulting in the English Toy Spaniel of today. They are often known as “Charlie,” which comes from two kings of that same name. The Cavalier King Charles Spaniels differ from the English Toy Spaniel with their longer nose, flatter head, and ears that hang higher on the head. 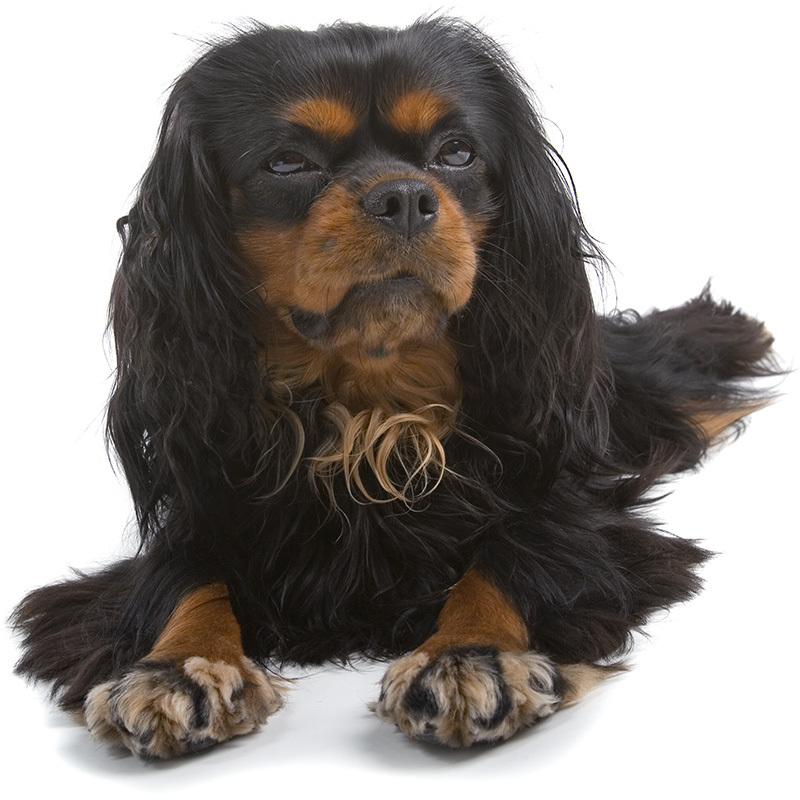 In England, the English Toy Spaniel is still known as the King Charles Spaniel. This dog is a true companion, sweet and lovable. They are happy, gentle, loving, and sweet little dogs. They have an aristocratic bearing but not snobbish at all. They love spending time with their families, usually on their laps. English Toy Spaniels require very little exercise and do well in apartment settings. They are intelligent and very well behaved. They get along well with children, but parents need to be vigilant to make sure both the children and the dog learn how to interact with each other. ETs are good watchdogs, alerting you when strangers come around. These little dogs make wonderful family pets as they are so sweet and happy and love to be with you. English Toy Spaniels usually weigh between 8 to 14 pounds and stand approximately 10 to 11 inches tall. Their long coat is straight or slightly wavy with longer feathering on the ears, body, chest, legs and feet. Coat colors come in a variety of colors, including Blenheim (white with red markings), ruby (mahogany red, sometimes with a few white hairs), tri-color (white with black and tan markings), and black and tan. This little dog is truly devoted to the death. Both Mary Queen of Scots and Charles I were accompanied by their little spaniels to their executions.